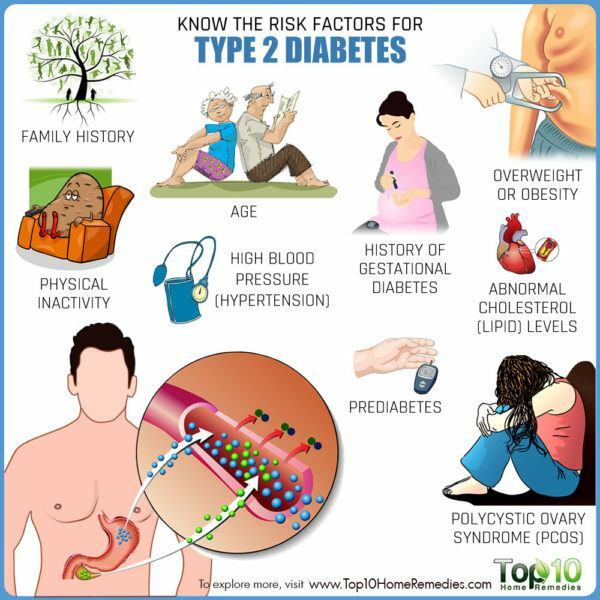 Home » Healthy Living » Type 2 Diabetes Risk Factors: Are you at Risk? Type 2 Diabetes Risk Factors: Are you at Risk? Type 2 diabetes is associated with several other metabolic abnormalities, such as central obesity, hypertension, and dyslipidemia, which contributes to the very high rate of cardiovascular morbidity and mortality. According to the International Diabetes Federation, over 400 million people were living with diabetes as of 2015. Of the three, type 2 is the most common. The Centers for Disease Control and Prevention estimates that 90% of people around the world diagnosed with diabetes have type 2 diabetes. Initially, the pancreas makes more insulin to try to move glucose into the cells. But eventually, it fails to keep up and the sugar builds up in the bloodstream, leading to a high blood sugar level. This makes it even more important to know the risk factors associated with type 2 diabetes. 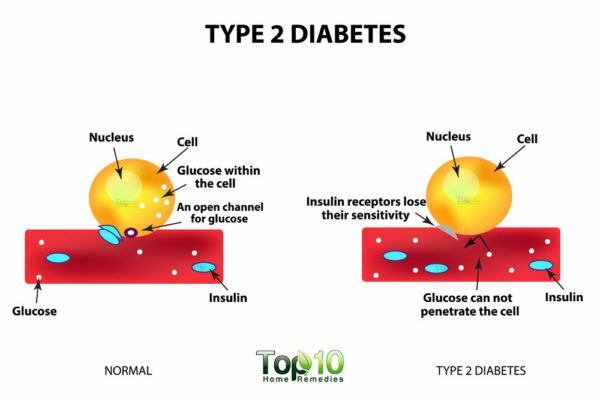 Risk factors for type 2 diabetes can be categorized as modifiable and non-modifiable. 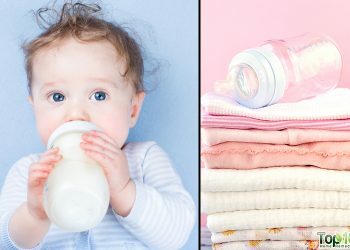 While you cannot do much about the non-modifiable risk factors, there are several others that you can control in order to prevent the development of this disease. 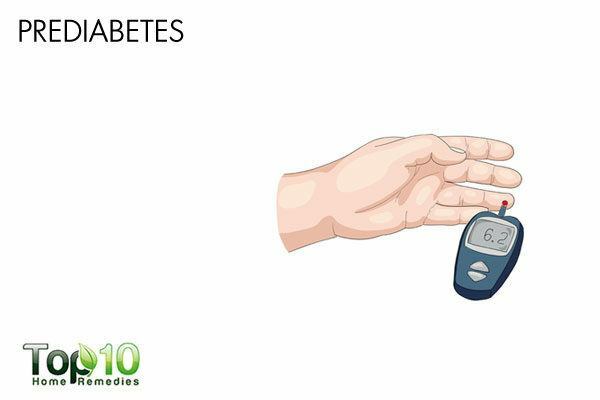 Here are 10 risk factors for type 2 diabetes. 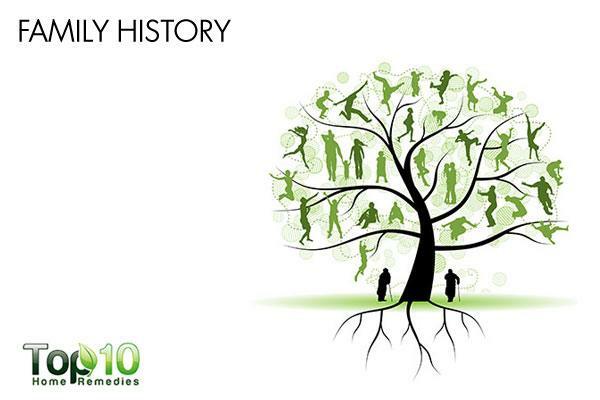 Family history is a known predictor of diabetes prevalence in the US adult population. (3) Your risk of developing type 2 diabetes is elevated if one of your parents or a sibling suffers from it. 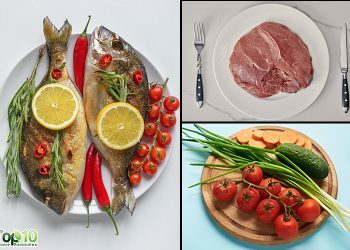 When combined with other factors that may trigger diabetes (such as unsuitable diet and exposure to certain viruses,(4)(5)(6) your risk of developing this disease increases. Although you cannot change your family history or genetic predisposition, you can decrease your risk for diabetes by avoiding the triggers. A 2016 study published in Diabetes Care, reports that the risk of diabetes is significantly higher among Asians, Hispanics, and blacks than among whites, before and after taking into account differences in body mass index. 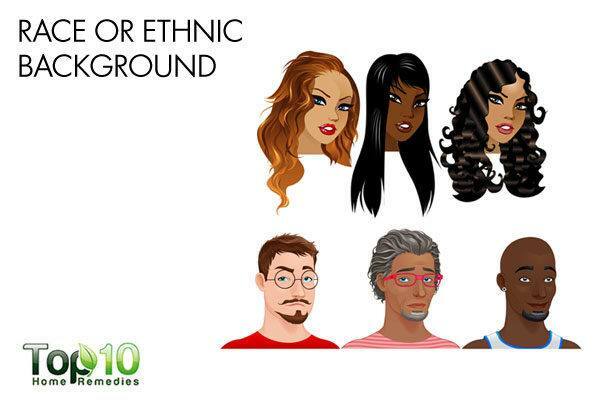 So, if you are African-American, Asian, Latino/Hispanic, Native American, or Pacific Islander descent, consider making necessary lifestyle changes in order to reduce the risk. Your risk of type 2 diabetes increases as you get older. 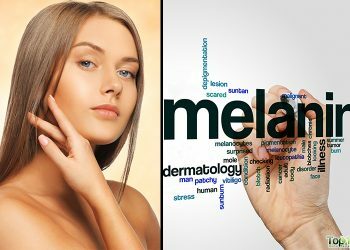 It usually occurs in middle-aged adults after reaching the age of 45. This can be due to the fact that people tend to exercise less, lose muscle mass, and gain weight as they grow older. More and more children, adolescents, and younger adults are falling prey of type 2 diabetes nowadays, mainly due to unhealthy lifestyle choices. Health experts recommend that from the age of 40, all adults should have their blood sugar level checked every few months. If your risk for diabetes is higher due to race, family history, weight, and other risk factors, it is recommended to start screening earlier. (8) Early diagnosis is the key to preventing or managing type 2 diabetes. 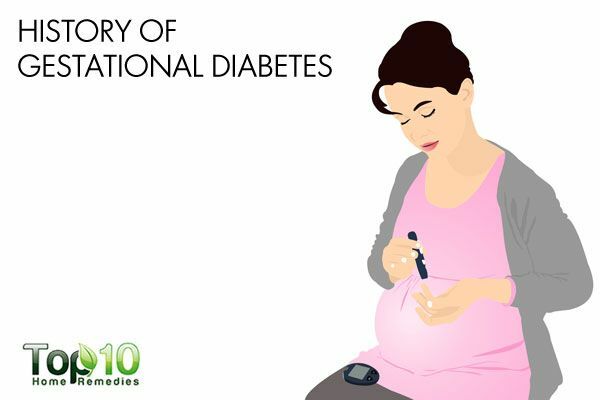 If you developed diabetes during pregnancy (gestational diabetes), then you are at an increased risk for type 2 diabetes. This inflammatory response stresses the inner part of individual cells called endoplasmic reticulum (ER). When the ER has more nutrients to process than it can handle, it causes the cells to dampen down the insulin receptors on the cell surface, thus leading to persistently high concentrations of glucose in the blood. Moreover, if your body stores fat primarily in your abdomen, your risk of type 2 diabetes is greater than when it stores fat elsewhere (like hips and thighs). One good thing about this risk factor is that by losing 5% to 7% of your body weight, you can reduce your susceptibility to type 2 diabetes. 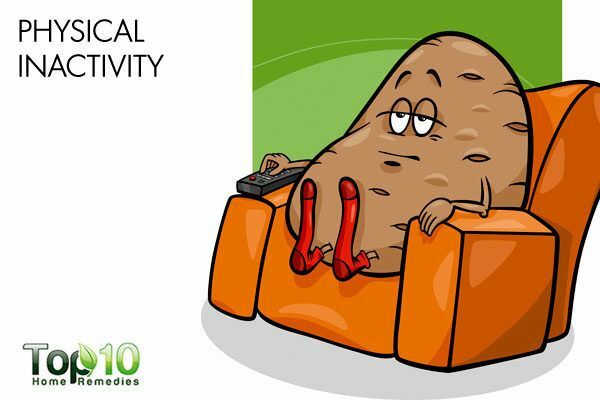 A major modifiable risk factor associated with type 2 diabetes is physical inactivity. 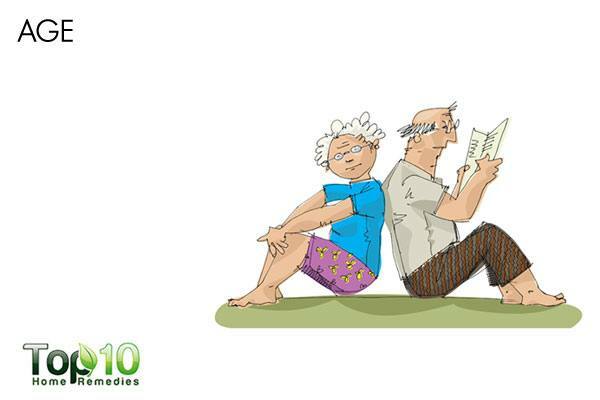 The less physically active you are, the more chances you have of developing this condition. Being physically active has numerous benefits. For instance, physical activity promotes weight loss, uses up glucose as energy, and makes the cells more sensitive to insulin. Excessive screen time (TV or computer) affects the risk for type 2 diabetes, along with high blood pressure, elevated cholesterol levels, and obesity, in children as well as in adults. The good news is that you can avoid ending up with type 2 diabetes due to physical inactivity by taking a few effective measures. 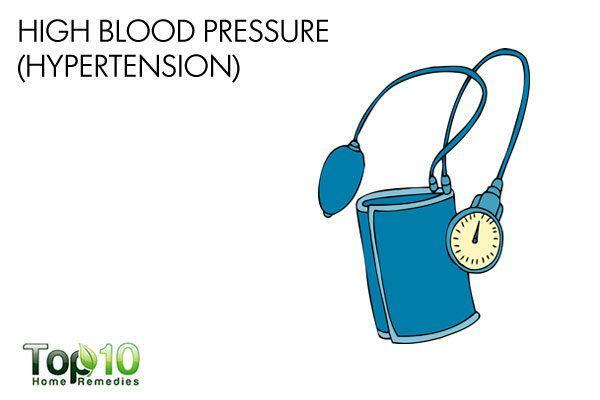 High blood pressure can cause significant damage to the cardiovascular system. If left untreated, high blood pressure may also lead to the development of diabetes. If your blood pressure is running high, take it seriously and follow your doctor’s advice to keep it in check. A low level of high-density lipoproteins (HDL or good” cholesterol) and high triglycerides can increase your risk for type 2 diabetes and cardiovascular disease. Prediabetes can be easily diagnosed with a simple blood test. If you have it, it is recommended to become more active and lose extra body weight. 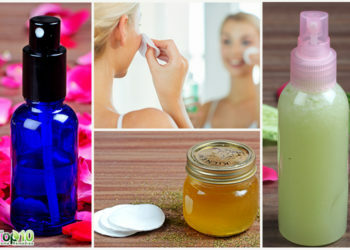 Also, opt for a healthy diet and follow the suggestions given by your doctor. 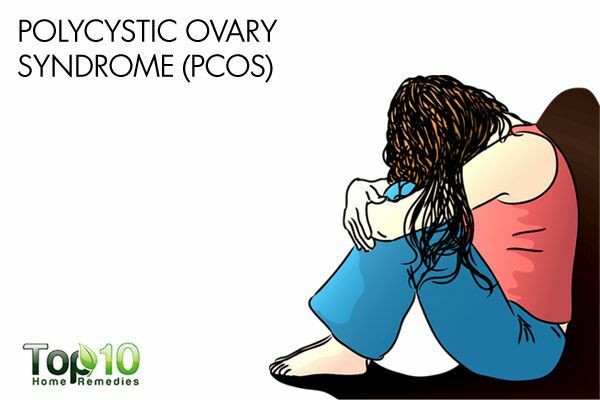 Polycystic ovary syndrome (PCOS) has been identified as a risk factor for type 2 diabetes. 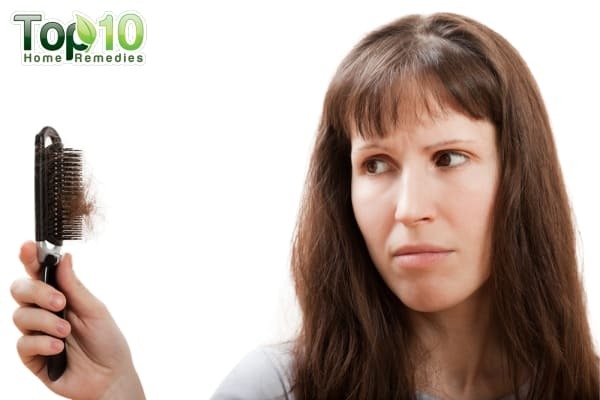 PCOS is associated with insulin resistance, which is the main cause of this risk. (26) Women with PCOS experience symptoms like irregular menstrual cycle, excess hair growth, and obesity. Eat healthy by choosing foods low in fat and calories, and high in fiber. Include more fruits, vegetables, and whole grains in your diet. Replace full-fat dairy products with low-fat versions. Choose healthy unsaturated fats, limit saturated fats, and limit or avoid trans fats. While eating, always watch your food portions and try to eat small meals 4 or 5 times a day. Indulge in at least 30 minutes of moderate physical activity every day. 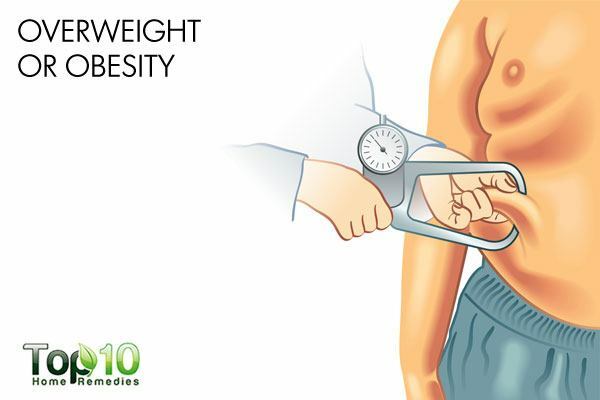 If you’re overweight, take the necessary steps to lose the extra pounds. Replace juice and soda with water infused with fresh fruit. Quit smoking and excess drinking. Watch your blood pressure level and take steps to keep it under control. See your doctor for regular checkups. It is highly recommended to regularly check your blood glucose, blood pressure, and blood cholesterol levels. Edelman SV. Type II diabetes mellitus. Current neurology and neuroscience reports. https://www.ncbi.nlm.nih.gov/pubmed/9506190. Published 1998. Many People at Risk for Type 2 Diabetes Don’t Think They Are at Risk. American Diabetes Association. http://www.diabetes.org/newsroom/press-releases/2013/many-people-at-risk-for-type-2-dont-think-they-are-at-risk.html. Published December 4, 2013. Diabetes Home. Centers for Disease Control and Prevention. https://www.cdc.gov/diabetes/data/statistics/statistics-report.html. Published February 24, 2018. Nguyen NT, Nguyen XM, Lane J, Wang P. Relationship between obesity and diabetes in a US adult population: findings from the National Health and Nutrition Examination Survey, 1999-2006. Obesity Surgery. https://www.ncbi.nlm.nih.gov/pubmed/21128002. Published March 2011. Lazar MA. How Obesity Causes Diabetes: Not a Tall Tale. Science. http://science.sciencemag.org/content/307/5708/373. Published January 21, 2005. Physical Activity. American Diabetes Association. http://www.diabetes.org/are-you-at-risk/lower-your-risk/activity.html. Cowie CC, Rust KF, Byrd-Holt DD, et al. Prevalence of diabetes and high risk for diabetes using A1C criteria in the U.S. population in 1988-2006. Diabetes Care. https://www.ncbi.nlm.nih.gov/pubmed/20067953. Published March 2010. Reinehr T. Type 2 diabetes mellitus in children and adolescents. World Journal of Diabetes. https://www.ncbi.nlm.nih.gov/pmc/articles/PMC3874486/. Published December 2013. May AL, Kuklina EV, Yoon PW. Prevalence of cardiovascular disease risk factors among US adolescents, 1999-2008. Pediatrics. https://www.ncbi.nlm.nih.gov/pubmed/22614778. Published June 2012. Mikus CR, Oberlin DJ, Libla JL, Taylor AM, Booth FW, Thyfault JP. Lowering physical activity impairs glycemic control in healthy volunteers. Medicine and science in sports and exercise. https://www.ncbi.nlm.nih.gov/pubmed/21716152. Published February 2012. Kwak, Heon S, Choi, et al. Clinical and Genetic Risk Factors for Type 2 Diabetes at Early or Late Post PartumAfter Gestational Diabetes Mellitus. OUP Academic. https://academic.oup.com/jcem/article/98/4/E744/2537225. Published April 1, 2013. Feig DS, Zinman B, Wang X, Hux JE. Risk of development of diabetes mellitus after diagnosis of gestational diabetes. CMAJ. https://www.ncbi.nlm.nih.gov/pubmed/18663202. Published July 29, 2008. Koivusalo SB, Rönö K, Klemetti MM, et al. Gestational Diabetes Mellitus Can Be Prevented by Lifestyle Intervention: The Finnish Gestational Diabetes Prevention Study (RADIEL). Diabetes Care. http://care.diabetesjournals.org/content/early/2015/07/08/dc15-0511. Published July 10, 2015. Iacobellis, Leonetti, Frida. Epicardial Adipose Tissue and Insulin Resistance in Obese Subjects. OUP Academic. https://academic.oup.com/jcem/article/90/11/6300/2838504. Published November 1, 2005. Timothy M Dall, Venkat Narayan, Karin B Gillespie, et al. Detecting type 2 diabetes and prediabetes among asymptomatic adults in the United States: modeling American Diabetes Association versus US Preventive Services Task Force diabetes screening guidelines. Population Health Metrics. https://pophealthmetrics.biomedcentral.com/articles/10.1186/1478-7954-12-12. Published May 7, 2014. Mark AE, Janssen I. Relationship between screen time and metabolic syndrome in adolescents. Journal of public health. https://www.ncbi.nlm.nih.gov/pubmed/18375469. Published June 2008. Hao M, Head WS, Gunawardana SC, Hasty AH, Piston DW. 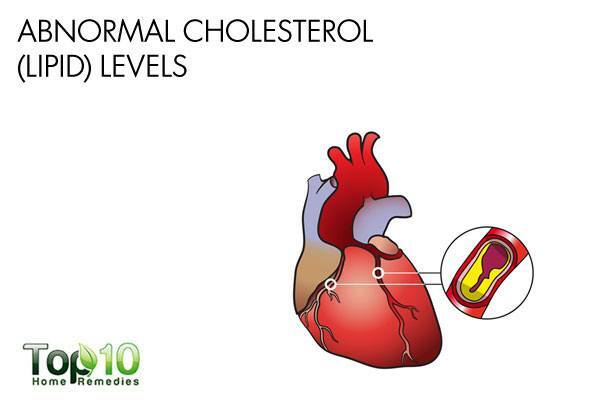 Direct Effect of Cholesterol on Insulin Secretion. Diabetes. http://diabetes.diabetesjournals.org/content/56/9/2328. Published September 1, 2007. Tien, Y.W., Shankar, Klein, Hubbard, L.D. Retinal arteriolar narrowing, hypertension, and subsequent risk of diabetes mellitus. NUS. http://scholarbank.nus.edu.sg/handle/10635/113628. Published May 9, 2005. Poljicanin T, Ajduković D, Sekerija M, Pibernik-Okanović M, Metelko Z, Vuletić G. Diabetes mellitus and hypertension have comparable adverse effects on health-related quality of life. https://www.ncbi.nlm.nih.gov/pubmed/20070882. Published January 13, 2010. Association P. Statins linked to increased risk of Type 2 diabetes. The Telegraph. https://www.telegraph.co.uk/news/2016/08/03/statins-linked-to-increased-risk-of-type-2-diabetes/. Published August 3, 2016. Smith AG, Singleton JR. Obesity and hyperlipidemia are risk factors for early diabetic neuropathy. Journal of diabetes and its complications. https://www.ncbi.nlm.nih.gov/pubmed/23731827. Published 2013. Forey BA, Fry JS, Lee PN, Thornton AJ, Coombs KJ. The effect of quitting smoking on HDL-cholesterol – a review based on within-subject changes. Current neurology and neuroscience reports. https://www.ncbi.nlm.nih.gov/pubmed/24252691. Published September 13, 2013. Tabák AG, Herder C, Rathmann W, Brunner EJ, Kivimäki M. Prediabetes: A high-risk state for developing diabetes. HHS Public Access. https://www.ncbi.nlm.nih.gov/pmc/articles/PMC3891203/. Published June 9. Asif M. The prevention and control the type-2 diabetes by changing lifestyle and dietary pattern. Journal of Education and Health Promotion. https://www.ncbi.nlm.nih.gov/pmc/articles/PMC3977406/. Published February 21, 2014. Pelusi B, Gambineri A, Pasquali R. Type 2 diabetes and the polycystic ovary syndrome. https://www.ncbi.nlm.nih.gov/pubmed/14973409. Published February 2004. Gambineri A, Patton L, Altieri P, et al. Polycystic Ovary Syndrome Is a Risk Factor for Type 2 Diabetes.Results from long term prospective studies. American Diabetes Association. https://www.ncbi.nlm.nih.gov/pmc/articles/PMC3425413/. Published August 17, 2012.